Participating players must attack bh-prince’s base to enter the event. Players can only attack the base from 11:00am – 5:00pm PST (18:00 – 00:00 GMT) between the dates of August 27th – September 3rd. Total base destruction must be over 70% for your entry to qualify. TOC must be destroyed for your entry to qualify. Target base will be repaired within 10 minutes of a successful attack. Target base will relocate once every 1 hour, alternating between Map 300 and Map 301, and spawning in random locations. Total “time of attack” will be based on the battle duration in the Battle Replay. 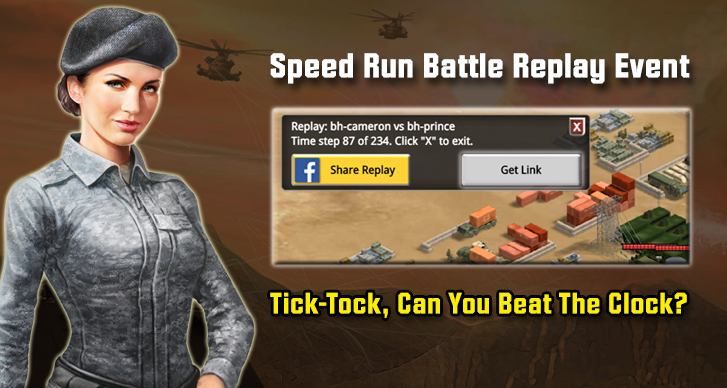 Players participating in the event must submit a Battle Replay link via direct message to “bh-prince” on Clan HQ. Players can only attack the target base a max of 3x per day. Attacking more than 3x per day will disqualify the participating player from the contest. Player standings will be updated once every day and posted in Clan HQ.